Boulder City Review file photoThe decreasing water level at Lake Mead is forcing the National Park Service to spend 1.5 million to repair launch ramps. The Western drought that’s ravaged Lake Mead is now hitting the National Park Service in the wallet as officials announced a $1.5 million-project to extend five of the park’s six launch ramps. It’ll be the first time since 2010 the Park Service will be forced to lay concrete to extend the launch ramps, according to spokeswoman Christie Vanover. Two separate contractors will be working simultaneously to expedite the process, Vanover said. Construction is expected to begin at the end of the month and will take about two months to complete. Echo Bay, Calville Bay, Hemenway Harbor, Temple Bar and South Cove are the ramps that will be worked on. Vanover said the construction could cause congestion for boaters, but each launch ramp will have at least one lane open. “It shouldn’t affect tourism too much if they know the ramps are open,” she said. Park Service engineer Chad Vellinga said plans had been in the works for two years to get the ramps permanently extended, but funding and contractual procedures delayed the process. 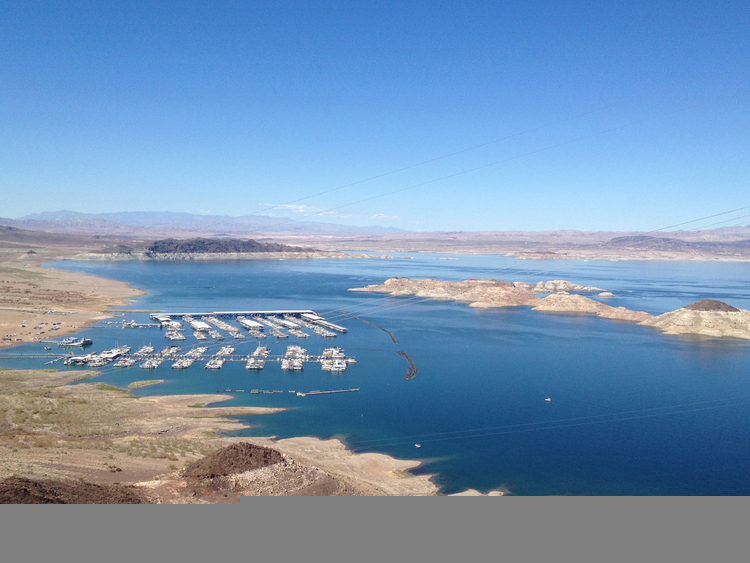 Lake Mead’s elevation of 1,075.08 feet by the end of June was more than 7 feet less than its elevation in June 2014, according to the U.S. Bureau of Reclamation. Since January 2013, the lake has receded 47 feet, and the bureau’s two-year study projects it to dip to 1,065 feet by May 2017. Still, tourism numbers remain strong for the Lake Mead National Recreation Area. The park continuously ranks in the top 10 for Park Service visitation with more than 6 million visitors per year. According to Vanover, 890,000 people visited the park last August, while 826,000 came in September. Roughly half of the park’s visitors come between May and September, she said. Vanover said the Park Service is expecting to pour more concrete next year to extend launch ramps yet again, though they’re taking it day-to-day.